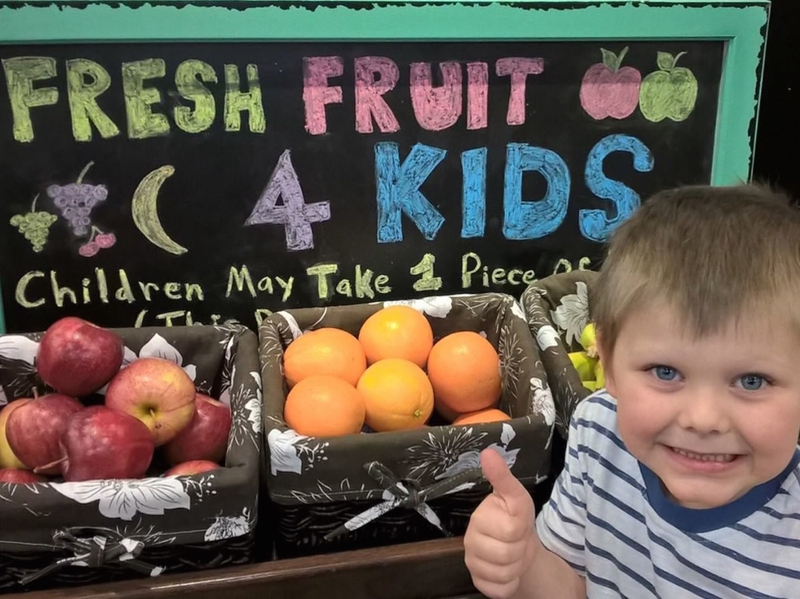 Children under 12 can now get a free piece of fruit when they visit Kroger! Kroger’s Mid-Atlantic Division is taking a small step toward healthier children. The 121 stores are giving fruit to children under the age of twelve, one piece of fruit for each visit. Children can select from bananas, apples, or a citrus fruit. “Giving children fruit is one way to encourage children to begin healthy eating habits at a young age,” said Allison McGee, corporate affairs manager for Kroger’s Mid-Atlantic Division. Mid-Atlantic Kroger stores have set up a child-size display so children can select their fruit. “We hope parents will take advantage of the free fruit to talk with their children about the importance of healthy eating at an early age,” McGee added.